Secondary Mars Survival - ANGELA M. HOUSAND, PH.D.
Rank order each innovation for its' importance to the process of colonizing Mars. Provide your reason for the ranking of each innovation. Select 3 innovations that are fundamental to the success of the goal of colonizing Mars and feasible to adapt to the intended purpose of colonizing Mars (these will be the three innovations you will fund, so make sure you can explain your decision making process). Dr. Dava Newman, a professor of Aeronautics, Astronautics and Engineering Systems at MIT,created compression garments that incorporate small, springlike coils that contract in response to heat to improve upon the outdated, clunky spacesuits astronauts currently wear. The smallest, fastest, and longest-running tiny synthetic motor to date. 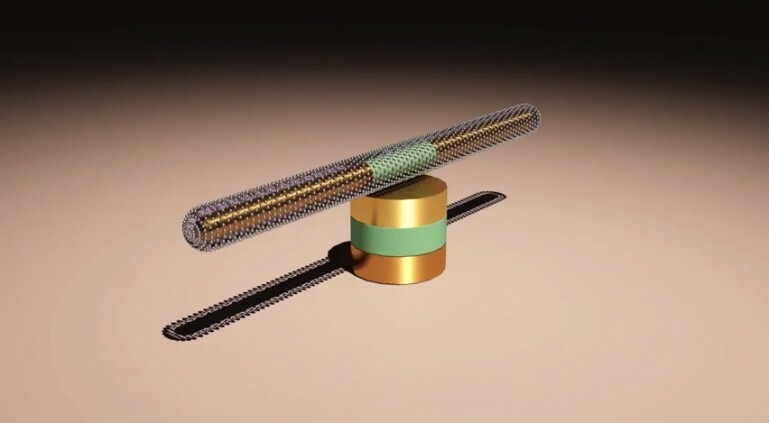 The team’s nanomotor is an important step toward developing miniature machines that could one day move through the body to administer insulin for diabetics when needed, or target and treat cancer cells without harming good cells. 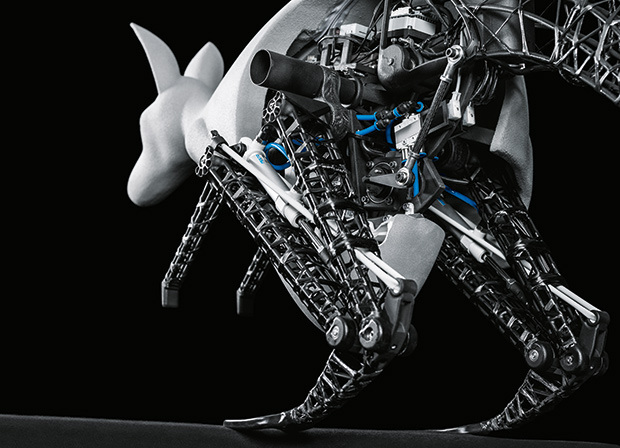 Scientists at Festo AG of Germany developed a “BionicKangaroo,” that technologically reproduces the unique way a kangaroo moves. Bonus: You can summon it with simple arm gestures! Stateside MIT’s Biomimetic Robotics Laboratory developed “an algorithm for bounding that they’ve successfully implemented in a robotic cheetah.” At the moment it’s clocking in at 10 mph but they expect this same model will eventually reach 30 mph, or about half the speed of a cheetah in the wild. Engineers achieved a record breaking 40.4% - 44.7% “conversion efficiency”. Cephalopods (squid, octopi, cuttlefish) are able to change coloration quickly for camouflage. Dr. Cunjiang Yu, a mechanical engineer from the University of Houston, led a collaborative study to replicate this pattern through manufactured camouflage. 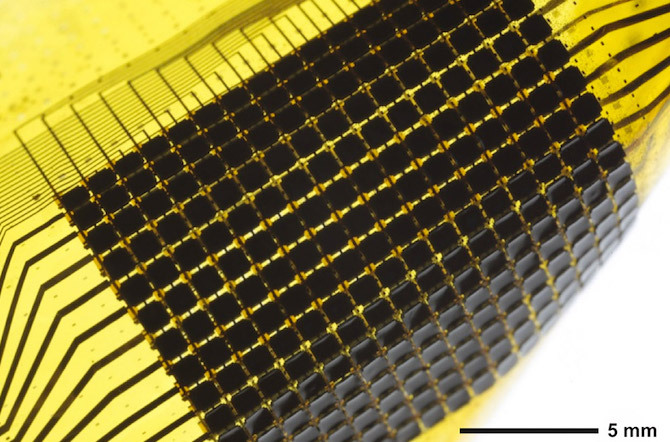 The flexible skin of the device is comprised of ultrathin layers, combining semiconductor actuators, switching components and light sensors with inorganic reflectors and organic color-changing materials in such a way to allow autonomous matching to background coloration. The system needs no supervisor, no eye in the sky, and no communication. 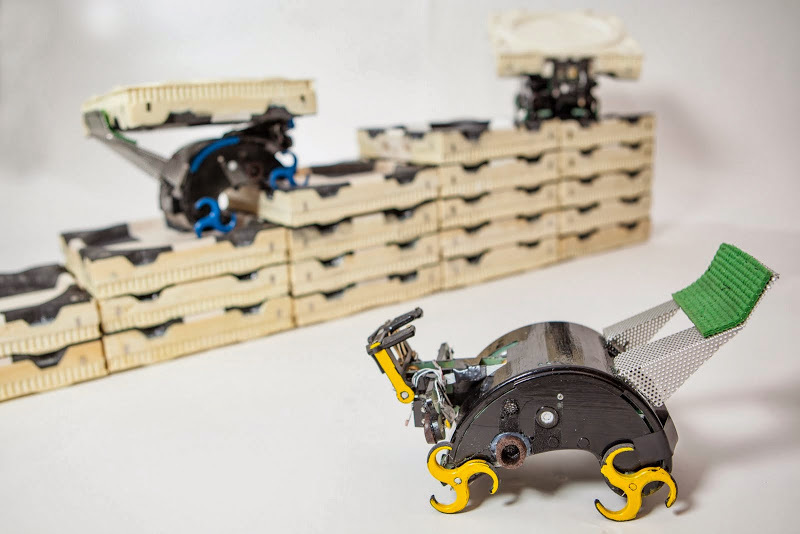 It uses simple robots — any number of robots — that cooperate by modifying their environment.Harvard’s TERMES system demonstrates that collective systems of robots can build complex, 3-D structures without requiring a central command structure or prescribed roles. Who’s Working on it: Consumer Physics, Inc.
SCiOio will analyzin food, medication, and plants. It can be used to refine the ingredients for production or figure out if authenticity of organic materials. Soon, the ability to check samples from cosmetics, clothes, flora, soil, jewels, precious stones, leather, rubber, oils, plastics, and even human tissue or bodily fluids will be added. Run by a plant physiologist, Mirai has indeed built the world’s largest indoor farm — 25,000 square feet to be exact — in an old semiconductor factory. The gardens are fed with 17,500 LED lights in a bacteria-free, pesticide-free environment. This farm produces faster, more, and with less waste (of both water and product). 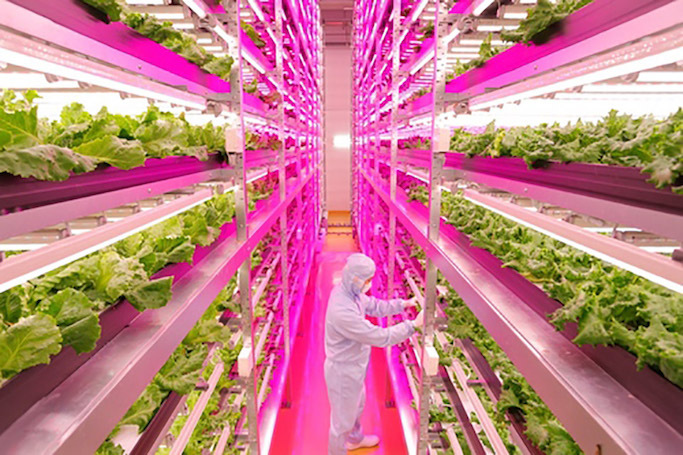 Produce is grown under these LEDs 2.5x faster than in sunlight. They’ve reduced produce loss from an industry-standard 30-40% to less than 3%. This farm cuts water usage to 1 percent. Produces about 10,000 heads of fresh lettuce each day. 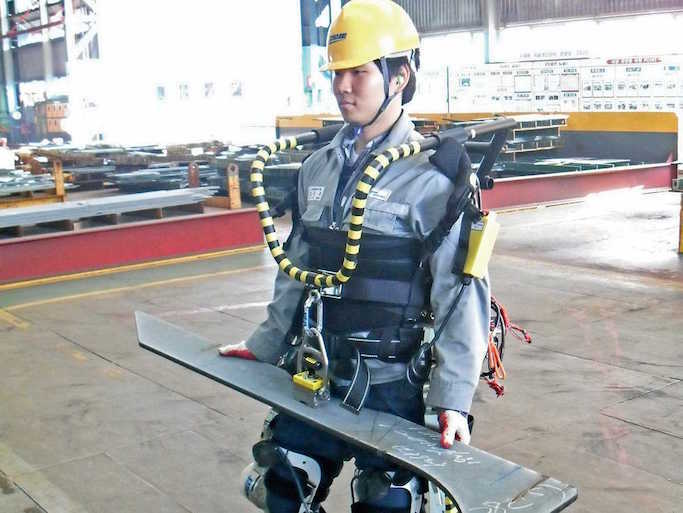 Ship workers are turned into superman that can pick up and carry 100-kilogram hunks of metal with robotic exoskeletons? 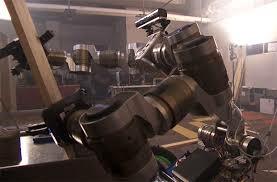 The prototype robo-suits weigh a tad under 62 pounds and can accommodate anyone from 5-foot-3 to 6-feet tall. Users can walk at their normal gait and get assistance from the suit in lifting and moving objects that weigh up to 66 pounds during the suit’s three-hour battery life. Engineers have ambitions of eventually getting total lifting capacity to 220 pounds. 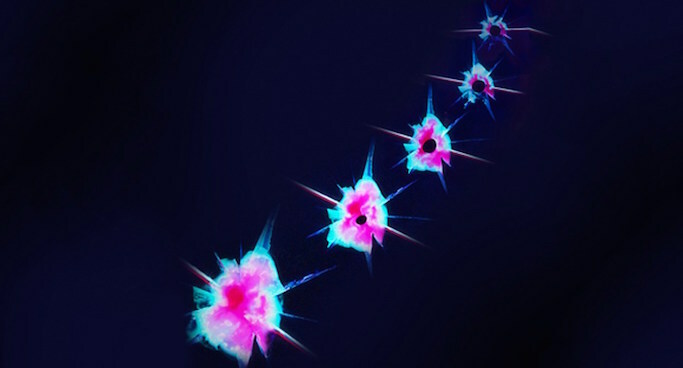 Engineers at the University of Illinois has unveiled a polymer that automatically patches holes 3cm wide – more than 100 times larger than previous milestones. The polymer relies on a network of capillaries similar to a human blood clotting system that deliver chemicals to the damaged areas. 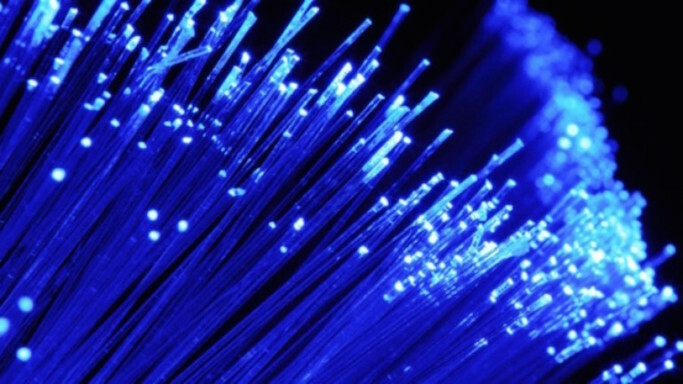 The materials used to create this polymer are inexpensive and readily available. The Xenex as “essentially a tall Roomba” with an ultraviolet light. 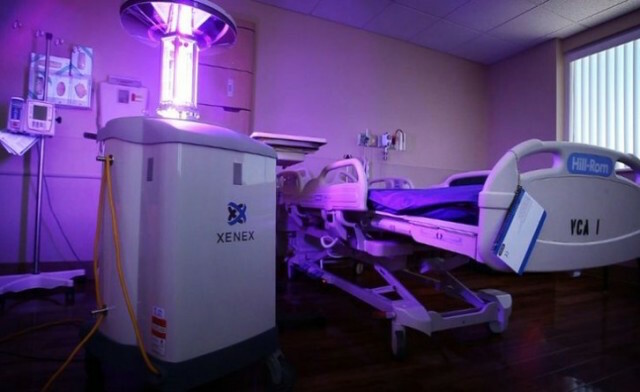 But the germ-killing robot that bathes hospital rooms with intense, millisecond pulses of ultraviolet light from a high-wattage strobe light is a hot item this year. The light is capable of killing germs in an entire hospital room in 5 minutes – and will destroy Ebola, specifically, on any surface in 2 minutes. At 43 terabits per second you could download Netflix’s entire 3.14 petabyte library in 9.7 minutes. Autonomous robot, MacGyver, is different than most robots. Where most robots have been built to treat the environment around them as an obstacle to be avoided, this robot uses its environment. Autonomously. 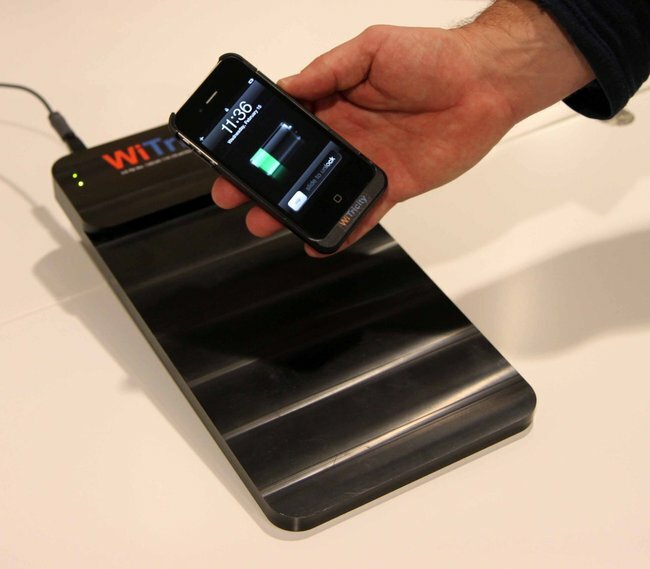 Resonant wireless power transfer technology is highly efficient – by some estimates 90% efficient. It’s based on magnetic resonance instead of induction, you don’t have to place the devices directly on a pad for the power transfer — they can be placed around the pad, and it even works through various materials like wood and metal. Also, you can charge up multiple devices with a single transmitter, and you can add repeater pads — which can come in the form of floor mats — should one require an extended range. Generating energy is far easier than storing it (outside of liquid fuel form). That has been the primary obstacle to widespread adoption of solar technology – but recently researchers from MIT and Harvard used a photoswitching substance called azobenzene to create carbon nanotubes capable of absorbing the sun’s radiation and storing it in chemical form. And once stored on the molecular level, it can be tapped at will to generate heat on demand. Even in the dark. The molecules can store the heat forever and be endlessly re-used while emitting absolutely no greenhouse gases.